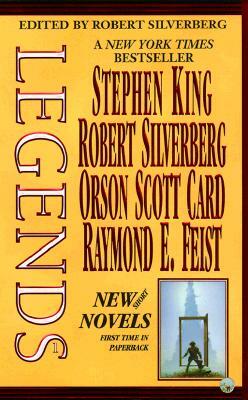 The great anthology of short novels by the masters of modern fantasy. Stephen King tells a tale of Roland, the Gunslinger, in the world of The Dark Tower, in "The Little Sisters of Eluria." Robert Silverberg returns to Majipoor and to Lord Valentine's adventure in an ancient tomb, in "The Seventh Shrine." Orson Scott Card spins a yarn of Alvin and his apprentice from the "Tales of Alvin Maker, "in "Grinning Man." Raymond E. Feist's "Riftwar Saga" is the setting of the tale of "The Wood Boy."